Collection using DPD (*available to UK mainland only). One hour delivery window for delivery and collections. Email and SMS delivery notification. Collections insured up to £1000. We offer an express 2-4 day turnaround on a wide range of testers. We are here to offer professional advice on calibration, no query is too small for our specialist team. Challenge us with your time sensitive jobs! To book calibration, please fill in the form below or contact 0113 248 9966 and we'll be happy to assist you. Alternatively, please email calibration@test-meter.co.uk and a member of our calibration team will contact you as soon as possible. ² No investigation fee for failed calibrations or non repairable equipment; we will just charge carriage fees before returning the instrument. Suitable for camera with a temperature ranges from -20˚C to more than +250°C. Service includes checks from -20°C to +500°C. Our 2-4 day turnaround guarantee! When it comes to your annual calibration we understand the importance of a fast turnaround time and a strong logistical solution. To this effect we endeavor to ensure that your equipment is calibrated AND returned within 2-4 working days from receipt. 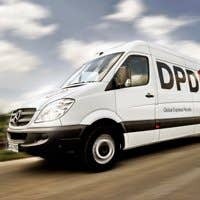 All items are collected and returned using DPD who offers maximum traceability and a 1 hour delivery time window for both the collection and delivery. Amending the delivery date, location or providing other delivery/collection instructions can be managed by you, the recipient. Note that the above mentioned lead time may be affected if your tester requires repair or other adjustments in order to pass the calibration. Weekends and Bank Holidays are also not included as a working day. Please allow 1 day's notice when arranging collection. Annual calibration of your electrical testing equipment and test meters is widely regarded as the best method of continuously ensuring that your equipment is providing accurate results in accordance with its specifications. Calibration provides peace of mind for the user and it documents that the user has taken reasonable action to ensure the accuracy of their test equipment. At Test-Meter we understand that aside from this, calibration is also a matter of solving an often logistical challenge to ensure minimum possible downtime and retaining clear communication throughout the process. Ensuring that the engineers handling your equipment are trained and skilled to do so is of equal importance. We try and base our calibration services with customer feedback and requirements in mind. To this effect we endeavour to ensure that your equipment is calibrated AND returned within 2-4 working days from receipt. All items are collected and returned using DPD who offer maximum traceability and a 1 hour delivery time window for both the collection and delivery. Amending the delivery date, location or providing other delivery/collection instructions can be managed by you, the recipient. Please note: All delivery costs are for mainland UK only. For non-UK mainland, please call on 0113 248 9966. Calibration service not currently available for Channel Islands. We are an authorised distributor and calibration centre for numerous manufacturers and are periodically audited by the likes of Seaward and Metrel among others. This also means that any calibration reminder screens will be reset during the calibration process. As an authorised calibration centre, your manufacturer’s warranty will be extended for 12 months when returning your equipment for recalibration with us (subject to terms and conditions from the manufacturer of your equipment). All our engineers are from an industry related background and have been trained to carry out any calibration fully in accordance with the manufacturers guidelines. All equipment will be calibrated to National Standards and a fully traceable Calibration Certificate will be provided. Collection using DPD with a 1 hour pickup/delivery notification (*available to UK mainland only). Collection and deliveries will be charged at £15 + VAT. Full calibration service with certificate issued. 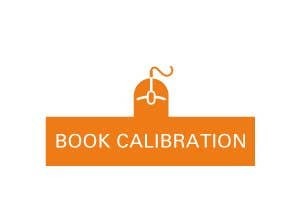 Click “Book a Calibration” on this page and fill in the form, including the preferred collection date. Alternatively contact our calibration department who will be happy to assist you: e-mail: calibration@test-meter.co.uk | phone: 0113 248 9966. We will arrange collection of your equipment and you will receive confirmation from us and from DPD (the courier) with a 1 hour delivery time slot for your collection. Upon receipt we will aim to calibrate and return your equipment within 2-4 working days and notify you of any issues or repairs required ASAP. Upon passing calibration we will return the equipment to you and you will again receive notification from DPD with a 1 hour delivery time slot for your delivery. Payment is generally made when the calibration and/or repair is completed for a final cost. We accept payment by credit/debit card, BACS, cheque, Paypal or we can offer 30 day payment terms to companies upon an internal credit check and receipt of an official purchase order. How often should my instruments be calibrated? While the general period for calibration tends to be every 12 months other factors may be taken into account such as frequency of use, the degree of wear and tear and of course the consistency of test results. Other factors that may influence this frequency can be your company’s internal quality procedures or stipulation made by any governing body such as the NICEIC, NAPIT, ELECSA or others. Will periodic use of a calibration checkbox replace annual calibration? The simple answer should be no. Using a calibration checkbox is a good way to ensure continuous accuracy of your tester between annual calibrations. Remember that a calibration certificate will only certify measurements within tolerances as stated on the certificate being accurate on the date of calibration and they cannot be guaranteed as valid for the following 12 months. 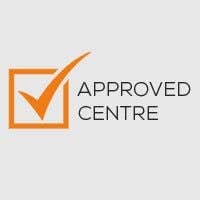 By having your test equipment checked and calibrated annually by an authorised calibration lab, you can be assured that accuracy tolerances and full instrument ranges set by the manufacturer are being met and checked in a controlled environment and that a traceable certificate is issued for your records. Is calibration of instruments a legal requirement? No, calibration is not a legal obligation but helps satisfy requirements issued by the IET to registration bodies like the NICEIC, NAPIT and ELECSA who will carry out your annual assessment. For companies with an ISO9001 accreditation, maintaining a traceable calibration procedure also falls under section 7.6 "Control of Monitoring and Measuring Devices". "The Enterprise shall be required to have a suitable system in place to ensure that the accuracy and consistency of all test instruments used for certification and reporting purposes is being maintained. 1) Maintaining records of the formal calibration/re-calibration of test instruments as recommended by the instrument manufacturers, supported by calibration certificates with measurements traceable to national standards, issued by organizations recognized by Certification or Registration Bodies for the purposes of checking the accuracy of test instruments. Certificates issued by UKAS accredited laboratories are preferable." Will annual calibration extend my manufacturer’s warranty? That depends on warranty policies set by the manufacturers individually. Certain manufacturers will issue a three year warranty on new instruments which can only remain active if the instrument is re-calibrated annually with an approved calibration company. Please call us for further details if you are in doubt whether annual calibration will affect or prolong your warranty. Are you able to remove any calibration warning screens or alerts that my tester is showing? Yes, in most cases. As we are approved by various well known UK and international test equipment manufacturers we are given resources and codes that enable us to remove calibration reminder screens. This is done automatically as part of your annual calibration. What is your turnaround time for calibration? Depending on the type of instrument, we typically work towards 2-4 working days from receipt. This can depend on current workloads and of course whether any repairs or adjustments will be needed. 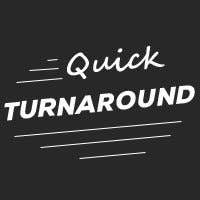 More information can be found in our “Turnaround” section or please call us for more information or if you have a deadline. What do I need to return with my tester when sending it for re-calibration? Please include any test leads, mains leads, probes or anything else used in conjunction with the tester when returning for re-calibration. Will re-calibration affect any test results stored on my instrument? No. Calibration will not affect data storage in any way. Test-Meter.co.uk also offers a repair service and will happily provide you with a competitive and no obligation quote for any repairs required. No repairs will be carried out without having received confirmation to go ahead from the customer. Any repair costs quoted will, unless specified otherwise, also include a full calibration following the repair. We try and use the manufacturer’s spare parts exclusively to ensure that your tester will not suffer another fault due to poor components used. All repairs are supplied with a 3 month warranty (for the fault repaired reoccurring, excluding faults caused by user error). Any repairs carried out under this warranty will be collected and repaired at no charge. Should your tester prove beyond economical repair or require parts no longer available you will be notified of this ASAP and if you wish a member of our trained sales team will be in contact to discuss a suitable replacement. Your faulty equipment can then either be returned to you or environmentally disposed of by us. Please note that we charge a £25+VAT investigation fee in the event of a quote being provided to the customer and the customer deciding not to undertake the repair. If the customer decides to go through with the repair, the investigation fee will be not be charged and only the original repair quote will be due. Please contact our calibration team on calibration@test-meter.co.uk or 0113 248 9966 for information and preferably with a fault description if possible. If you are local to us or happen to be in the area we can also offer a “calibrate while you wait” service for testers dropped in at our premises in Leeds. Express charge of £10.00 applies. Please note that we do require notification prior to turning up via phone or e-mail so that we can ensure an engineer is available to undertake the job immediately and so we can give you an estimated waiting time to complete the job.